It is probably pretty obvious that we are excited about the reemergence of wide leg pants. I still love my skinnies but this is a refreshing change! 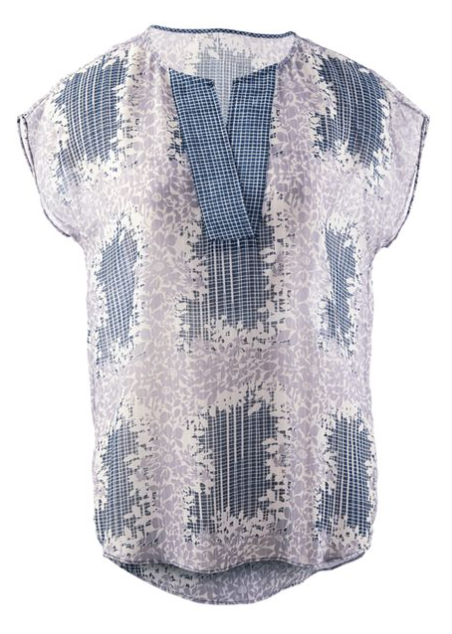 I found this top at a Cabi show and really loved the colors and print. It is light and breezy. The perfect summer top. I immediately pictured white jeans but it will be great with denim, shorts and skirts. Also, do not forgot to enter our Giveaway at the bottom of this post to win a WMTH t-shirt. Thank you Biana! Have a great weekend! I am loving the wide leg pants! It makes me feel and look much taller!